Building a nest egg is a smart way to manage your money and live comfortably in the future. 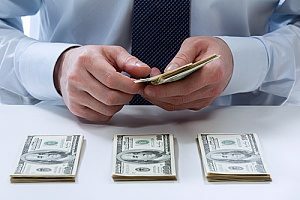 A certificate of deposit, or CD, can be an effective savings tool for investors in search of a low-risk savings option. Certificates of deposit are a type of savings account that offers fixed interest rates and maturity dates. CDs do not have monthly fees and come with a higher than standard interest rate that builds over the course of the set term. CDs can earn you considerably more than you would make with a standard savings account. Certificates of deposit are available at most banks and credit unions. How exactly do CD accounts work? A certificate of deposit allows your savings to grow at a more rapid rate than they would in a traditional savings account. However, similar to a savings account, you make an initial deposit. In exchange for depositing funds into the bank for a fixed period of time, the bank pays a fixed interest rate. Over the course of the term, the interest in your CD account builds. When the CD matures, you receive the money you deposited, plus any interest that has accrued. As a general rule of thumb, the longer the term of the CD, the higher the interest rate. By depositing a higher amount of money into your account, you can reap a higher annual percentage yield. Depending on the amount of money you would like to deposit, you may want to consider other types of CDs, such as jumbo CDs which have a high minimum balance requirement. It is important to understand that unlike a traditional savings account, you cannot withdrawal the funds without facing stiff penalties. Before opening a CD, be sure that you have an adequate emergency fund available. 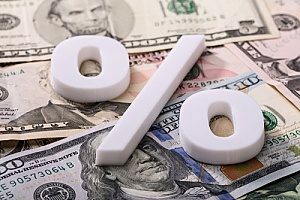 Annual percentage rate (APR) is a term used to describe a CD’s annual interest rate, not including compounded interest. For example, if a CD offers 5 percent interest, you would earn $1,000 on a $20,000 CD. As most CDs pay compound interest, the annual percentage yield (APY) describes the accrued interest. When comparing interest rates between CDs, be sure to find a product that offers a competitive rate to ensure a more favorable outcome. 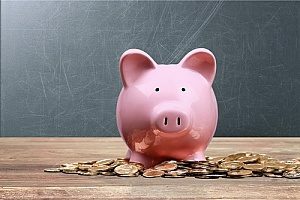 Certificates of deposit may be right for investors who have an initial deposit saved up and who does not need these funds due to having a separate emergency fund available. Depending on the bank or credit union, you may be required to meet a minimum deposit, typically $500 or $1,000. Know that when you deposit this money into a CD account, it will be locked down until the end of the chosen term. Withdrawing the funds before the maturity date means paying a penalty that often adds up to six months’ worth of accrued interest. To prevent a withdrawal from occurring, it is ideal to have at least three to six months’ worth of living expenses in a savings account. Starting a certificate of deposit is easy. Simply contact your bank or credit union and tell them you would like to make a deposit into a CD. Some institutions allow you to make investments online, while others can walk you through the process with a customer service representative over the phone. The representative will ask how much you would like to invest and offer an array of CD products. Once money has been deposited into an account, you will begin receiving statements just like you would an ordinary savings account. If you have funds socked away in a savings or checking account, know they could be more beneficial in a CD account. A CD is a safe way to grow your money with minimal risk. With their fixed rates and terms, you can lock in a favorable interest rate for the life of the product resulting in a predictable outcome. You also have the benefit of knowing your investment is safe. Certificates of deposit are very secure as they are insured up to $250,000. This means that even if your bank or credit union goes bankrupt, you can rest easy knowing your money is safe. As a business owner, you are always looking for the best way to invest your hard earned money. Many savvy business owners would agree that a certificate of deposit is a smart way to earn interest on money that is already sitting in the bank. Certificates of deposit are among the safest investment opportunities out there, and with no monthly fees to pay, there is little reason not to open an account. For more information about a certificate of deposit account or to open a business checking account, contact a service representative at your local Virginia community bank.